Children forge amazing bonds playing together, but we’ve all experienced how painful it can be getting to a state of comradeship. There’s actually a biological reason for this. Until they’re around 3 or 4, kids aren’t using the part of the brain that processes empathy, and can’t really grasp the idea that other people have thoughts and feelings that are different from their own. So, of course, for young children the world revolves around their needs and emotions, while consideration for how other people think and feel comes later. Kids grasp the concept of ‘losing’ very quickly, but struggle to deal with the emotional reaction when it happens to them. This mindset is perfect for the game of Monopoly, perhaps, but what about the real world? If we never learn to work with others by considering the thoughts, needs, and feelings of other people too, then life would be pretty miserable for everyone. In fact, a recent study of its employees by Google showed that empathy and the ability to work well with others are actually far more important for success than competitiveness or even being the smartest person in the room. Not to mention making for a happier and emotionally healthier social life. What is a Peaceable Kingdom board game? A Peaceable Kingdom board game helps kids develop these valuable ‘teamwork’ skills by making it essential to work together. 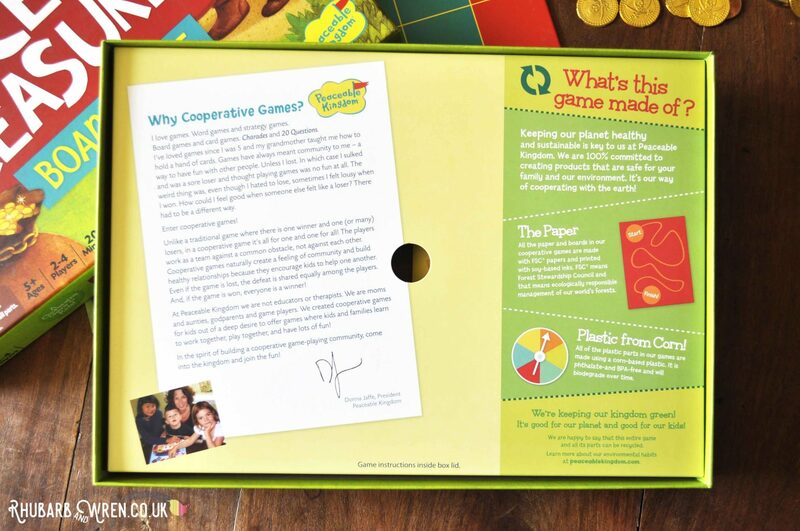 Inside the box is a note from company president Donna Jaffe, explaining why co-operative games are a such a good idea. “Cooperative games naturally create a feeling of community and build healthy relationships”, she explains, “because they encourage kids to help one another. 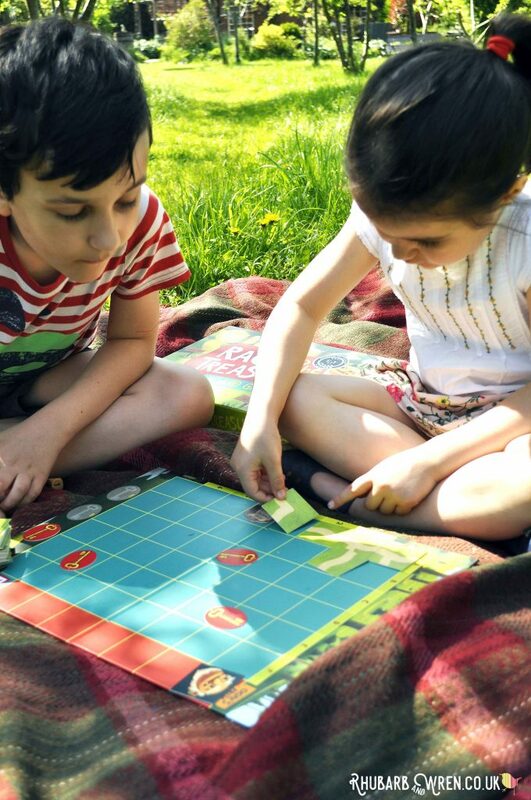 Even if the game is lost, the defeat is shared equally… and, if the game is won, everyone is a winner!” Sounds like a great idea, but how does it work with real-life siblings?? Playing together doesn’t just mean playing the same game. One Hundred Toys kindly offered to send us a Peaceable Kingdom board game so we could test out this ‘one for all and all for one’ approach ourselves. 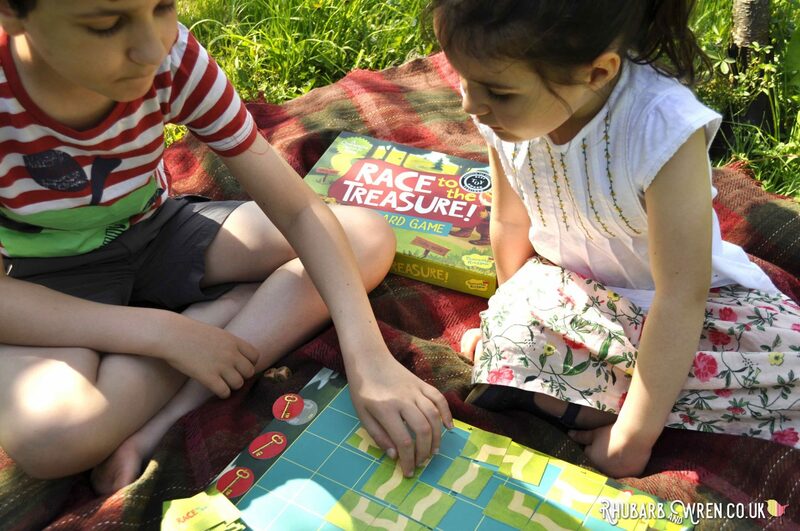 With an eight-year-old who can handle sophisticated game-play, and a four-year-old who can’t, we decided to try the excitingly-named Race to the Treasure board game, as it looked simple enough for my youngest, but still lots of fun (Ogres! Treasure!) for my eldest too. Learning through play is the best way to learn. 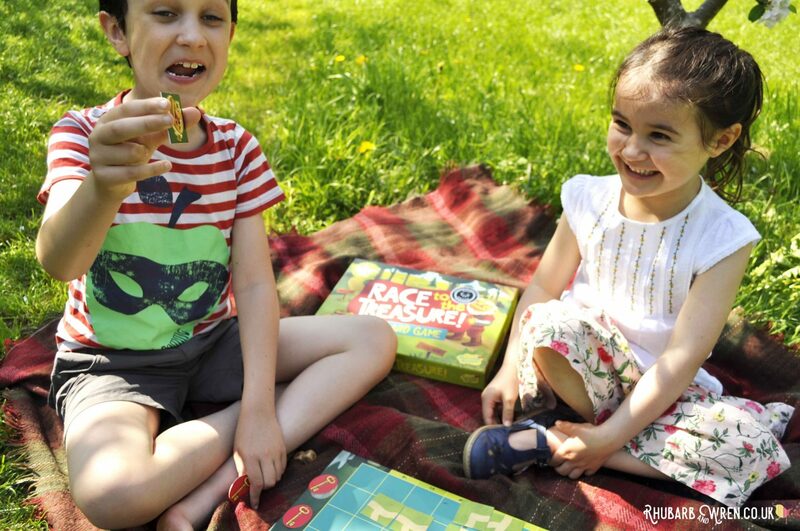 A board game kids of different ages can play together. The Peaceable Kingdom board game range varies quite a bit in complexity, so there’s something suitable for kids of any age. It’s worth checking the advised age range and handy (and short!) ‘How to Play’ videos for each Peaceable Kingdom board game on their YouTube channel. These give you a good idea of what they’re like before you buy. 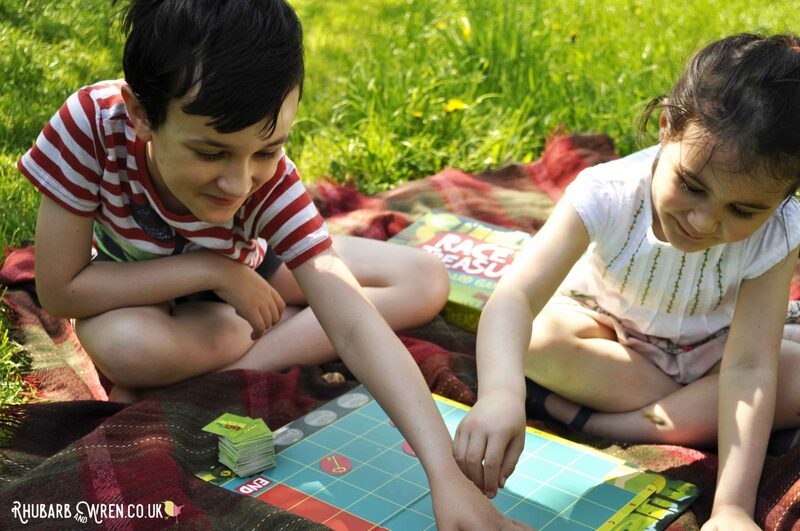 The game we chose has a suggested age range of 5+ – perfect for my board-game loving four-year-old to play with her big brother. Turn taking helps balance the team leadership so that each child gets a go as the deciding voice. Uh oh… not another Ogre card! To make their path, the players take turns drawing a card from the pile. They’ll draw either a picture of a bit of path (yay!) or the ogre’s head (boo!). The players have to decide together how to place the path sections, choosing the best route via the keys to the treasure. Every ogre head card that turns up builds a separate (and shorter) path straight to the loot. 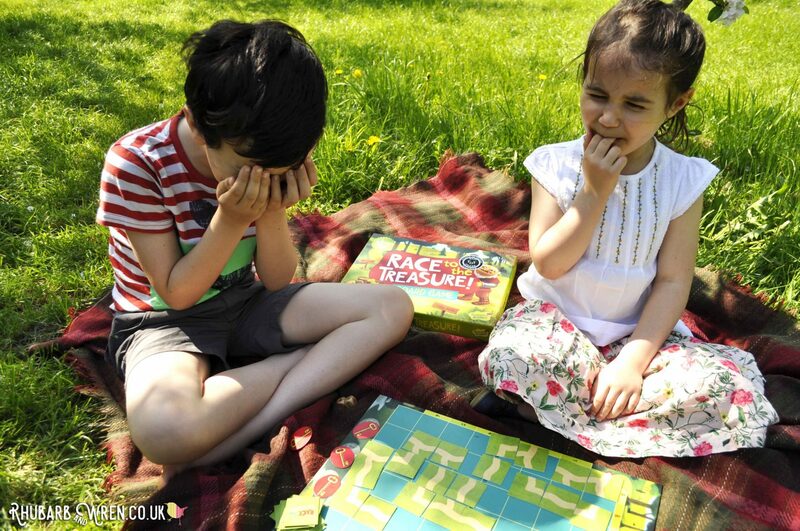 It’s simple enough gameplay for even very little ones – my four-year old grasped it straight away – so it’s a great ‘starter’ board game for this age. 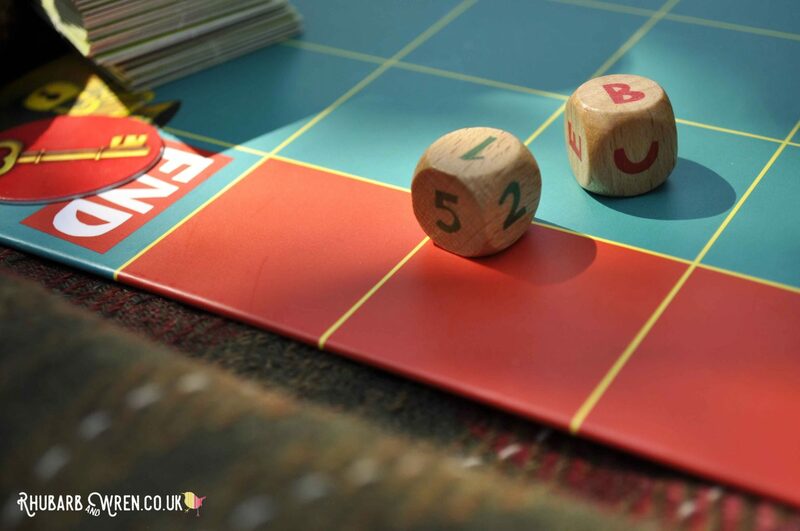 The game also comes with two wooden dice – one numbered, the other with letters. Players use these dice before the game proper begins, as a way to randomly position the key and lunchbox pieces. It’s a nice little extra activity that has an educational bonus, as it introduces kids to the idea of an axis chart. The board has the numbers one to six down the side (the ‘Y’ axis), with letters A to F across the top (the ‘X’ axis). Before playing, players roll the two dice together, several times. Each throw gives a letter and number mapping where the keys and the lunch box go. It’s quite a challenging task if you’re a little one not familiar with the way an axis chart works, but with a bit of help the kids soon got the hang of it. 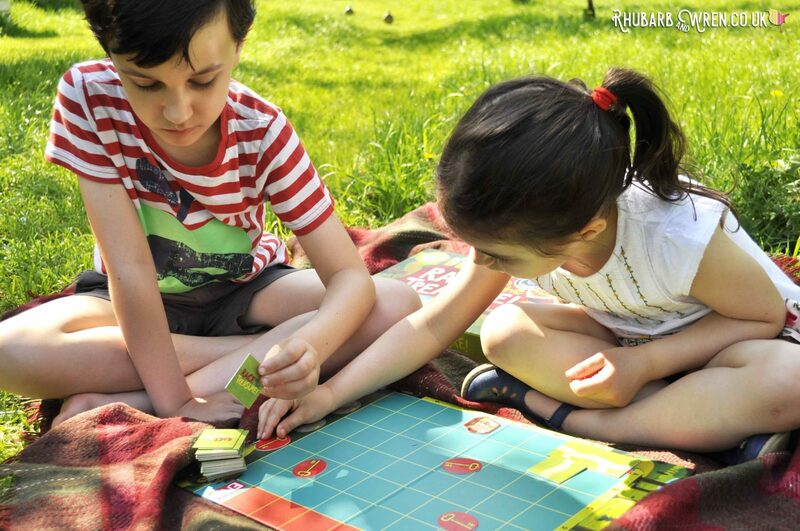 Setting up the board becomes part of the game and ensures play is different each time. What makes this Peaceable Kingdom board game different from most ‘traditional’ board games is that there are no ‘player’ pieces. There are no arguments about who gets to be the boot and top hat, and who gets left with the iron (a sore point from my own childhood!). The only person represented on the board is that greedy Ogre, so all the players are on the same side, teamed against this monster. Playing this with my kids, we all got ridiculously excited as the ogre edged closer to the treasure chest while we still had one more key to collect. There was a definite sense of unity and teamwork as the kids elbowed me out of the way to grab the next card! Thinking ahead as well as working in a team are both requirements for this game. 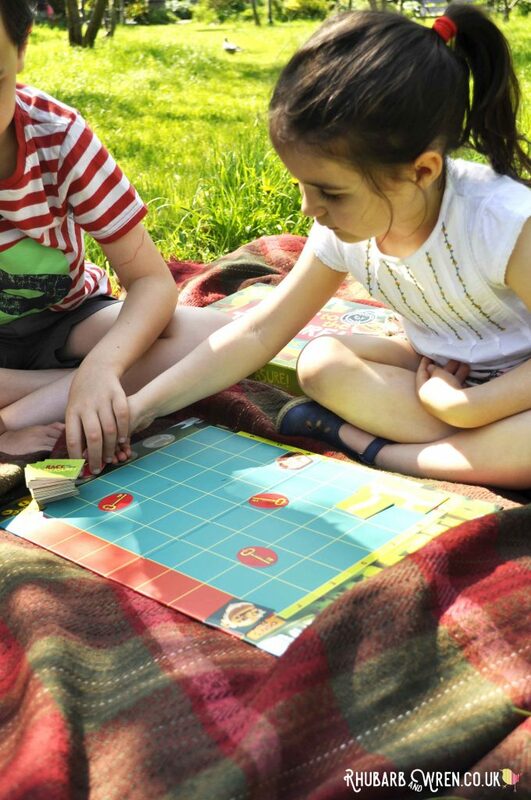 These little path cards can be laid on the board in any position, so the players need to discuss which way to lay each one and decide together which target key (or lunchbox) they are aiming for – I was often outvoted, but as each player takes a turn drawing a card, they also get a turn being the deciding voice, which I found made the kids much more willing to compromise and work together on the best strategy to take. While kids don’t compete against each other, they do have to co-operate. Were there any arguments, upsets, tantrums or sulks? I can honestly say not one – and we’ve played the game several times now! 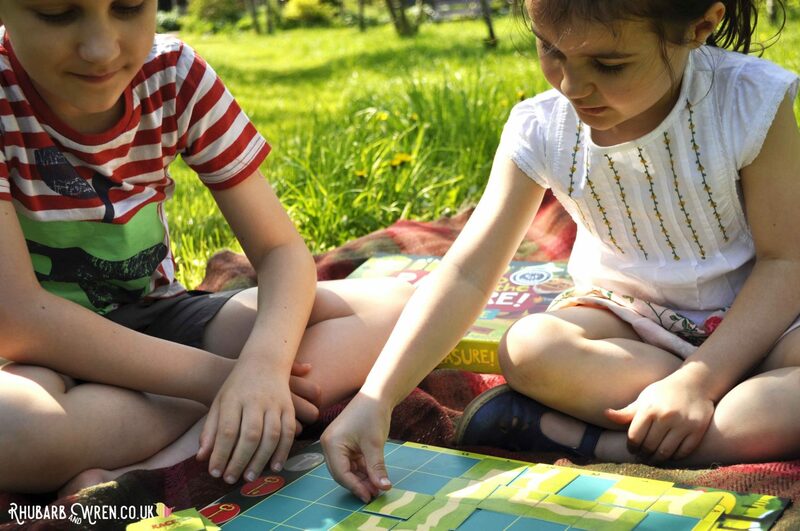 Playing the game was nothing but fun for all of us, and it was also great to have a board game where both kids, at their different stages of development, could play as equals and teammates at the same time. 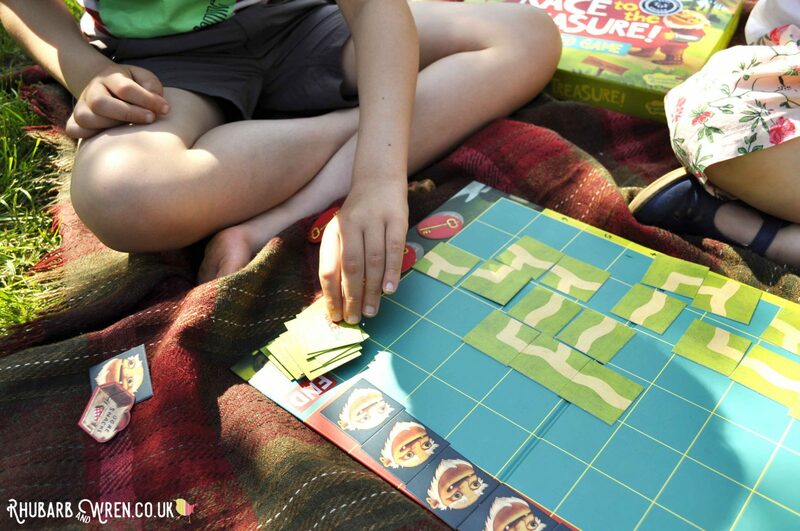 While there will always be a place in my heart for competitive games like Monopoly, Cluedo, and Scrabble, I will definitely be making room for more of these co-operative games – especially while the kids are still young. I am intrigued as to what they will look back on as their favourite games once they’re all grown-up – will it be one of the winner takes all variety, or will their generation value more these games where victory – or defeat – is shared? Either way, I know that this Peaceable Kingdom board game will be getting a lot of play along the way. Losing together is often more fun than winning alone! How Green is this Game? I’ve always tried to be environmentally conscious when buying things, but like many people I’ve become a lot more focused on this lately. Kids toys and games can be a disaster zone of plastic, and more plastic, wrapped in plastic, shipped halfway round the world and back again, so I am including a brief look at the environmental credentials of anything I review now, as part of my efforts to be more environmentally aware. 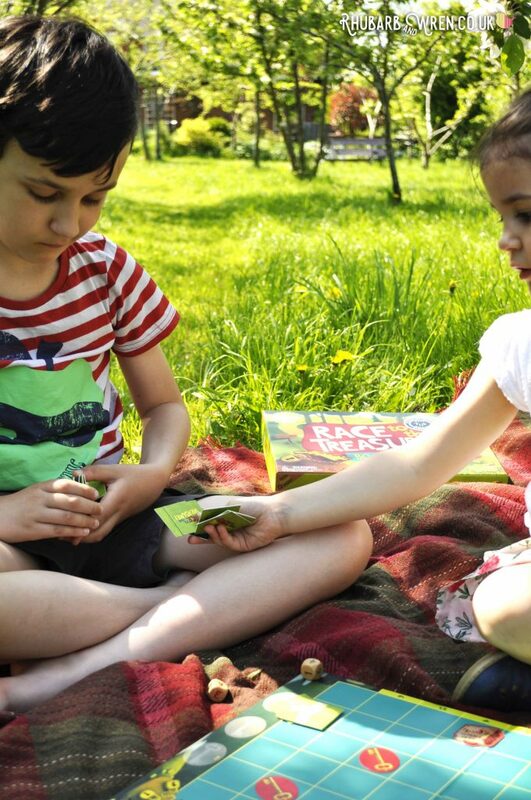 This particular Peaceable Kingdom board game is pretty eco-friendly – it claims on the front of the box to be ‘100% green’ and has a panel inside explaining what the box contents are made from. 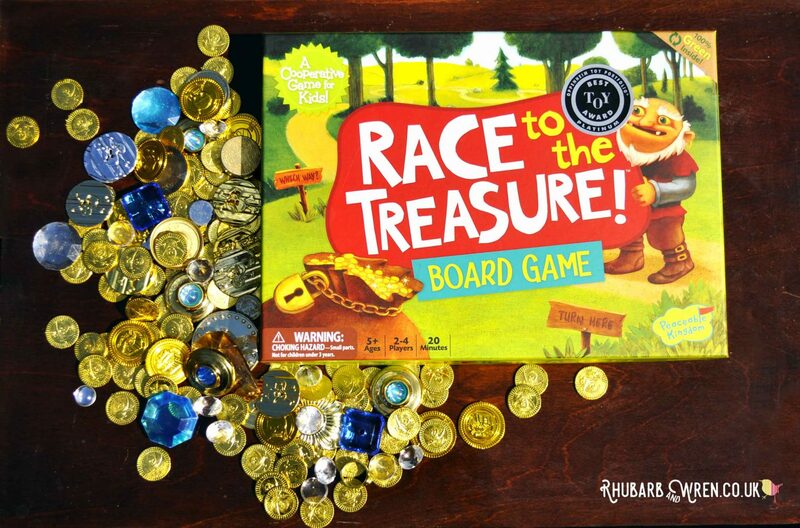 The Race to the Treasure box, board, and cards are all made from FSC certified papers, printed with soy-based ink. The two dice that come with this game are made from FSC wood (very nice!). And all the little bits are contained in a paper envelope inside the box, rather than a plastic bag or tray. In fact there are no plastic bits at all in this particular game, so it meets our plastic-free goal for new purchases – yay! 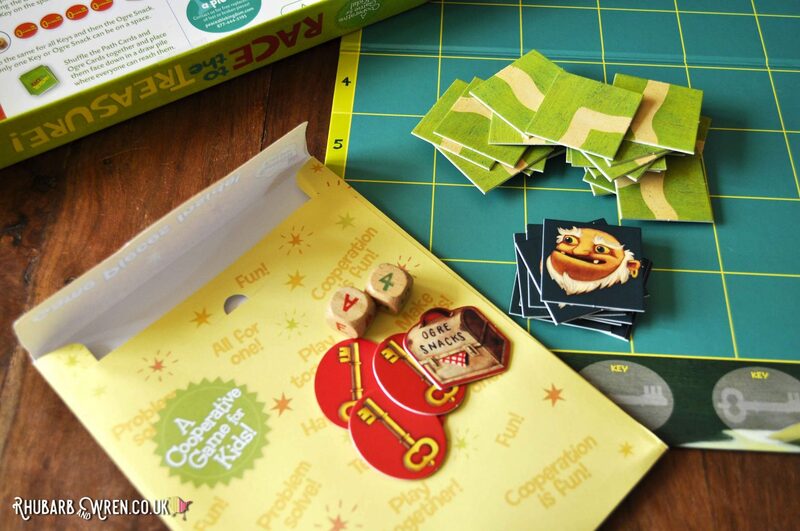 Some of the other Peaceable Kingdom board games do contain a few small pieces made from corn-based plastic though, so if this is important to you then check each game’s box contents first. 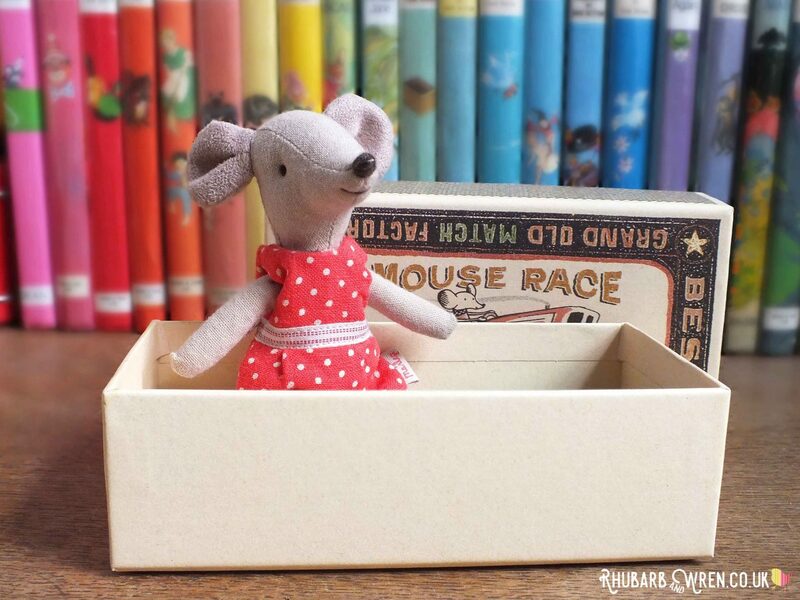 All the pieces in this game are made of FSC cardboard or wood – even the packaging is plastic-free! 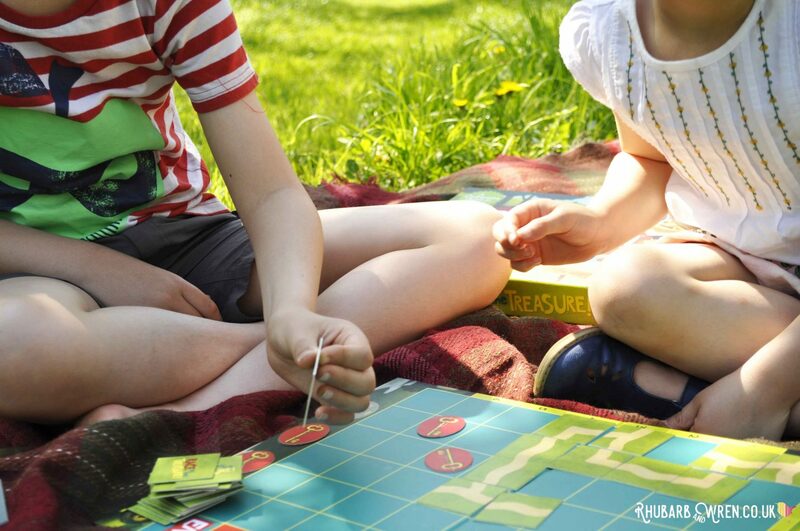 From a carbon footprint point of view, this Peaceable Kingdom board game is made in China, meaning there are a fair few air miles behind them. But realistically that’s likely to be the case with most companies shipping globally nowadays, especially when they are big companies. While it would be lovely to always buy locally produced goods, it would be hard to find any board game not made in the Far East. 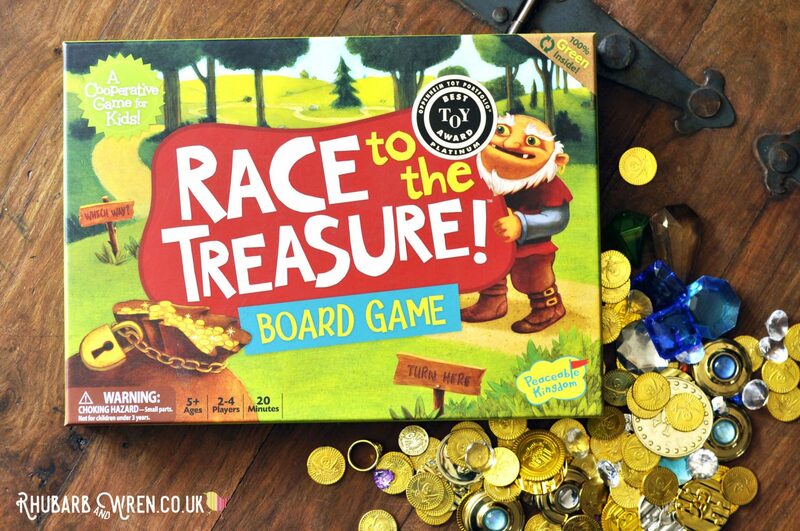 All in all, we give Race to the Treasure a nine out of ten for green-ness since this particular Peaceable Kingdom board game is actually plastic free – the one point deducted is for those pesky air miles. For sheer fun, playability and an innovative approach to gameplay? We definitely give this a ten! 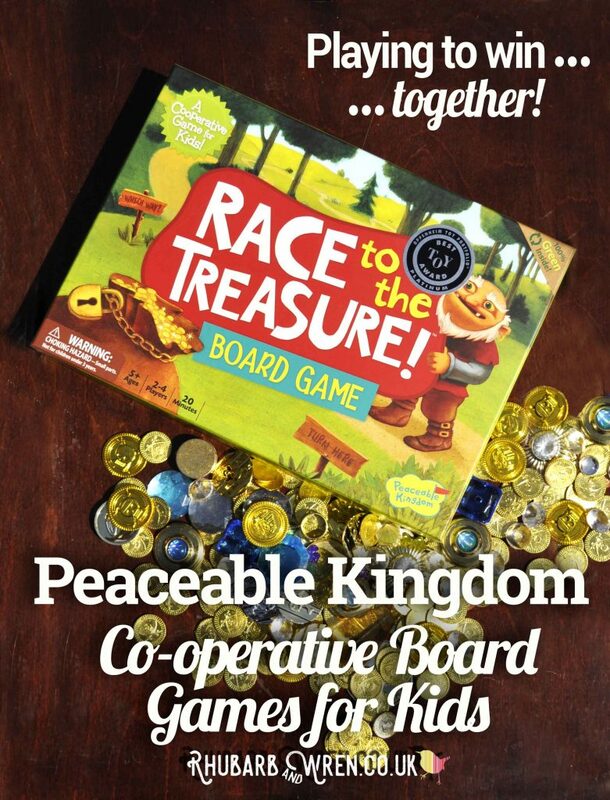 Peaceable Kingdom’s co-operative board games – fun that takes teamwork, not competition! We were very grateful to receive this Peaceable Kingdom board game from One Hundred Toys for the purpose of this review. All opinions in the review are our own. 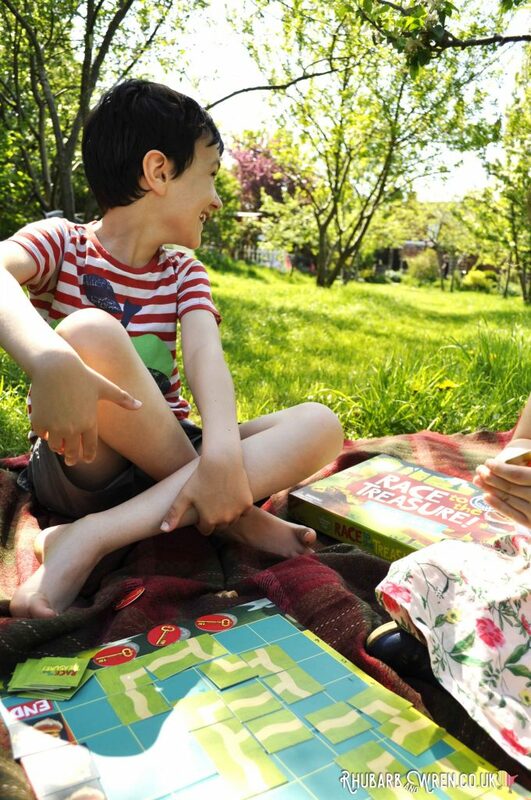 If you’re looking to buy co-operative board games like the one reviewed here, check out One Hundred Toys ‘Peaceable Kingdom’ selection to see the range they stock. 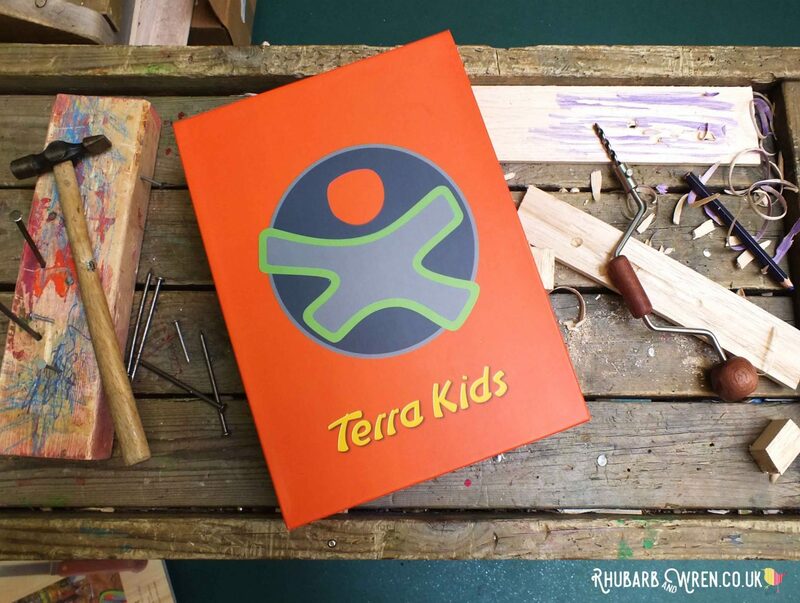 Looking for more amazing, ethical, and interesting gifts for your kids? Take a look at some of the other reviews we’ve done for One Hundred Toys. Co-operative Play, Educational Toys, Learning Through Play, One Hundred Toys, Preschool Activities, Toy Review. Bookmark.